Coffee wraps, Dead Sea mud, caviar creams, or aromatherapy massages – they’re all here. Our guide to the best Indian spa resorts from Kerala (with its ancient ayurvedic arts) to the lofty Himalayas and even city rubdowns in Delhi and Mumbai. EVER since John Lennon sang ‘Give peace a chance’ there’s been a lot of noise – call it blather if you will – about ‘peace’. Meanwhile, a lustily advertised billion-dollar industry has been built around the concept promising to stopper the tensions, temptations and triggers of everyday living and transform you into a better person, from the inside out. And while most of the world is just catching up to the wondrous charms of detox and massage, in India, Kerala folk have been touting the miracle of ayurveda for a thousand years (more or less), while yoga practitioners have been contorting people into pretzels for centuries. Small wonder then that India spas have a serious head start on the rest of the world. Quite naturally, these home-grown practices have been embedded into almost every spa experience in India. In Kerala, especially, you can't sneeze without falling over an ayurvedic spa retreat of some sort. But if that's not the sort of thing that bakes your cake, then there's a bouquet of other options to choose from. Hot volcanic stones promise to drain your lymph nodes; papaya wraps can banish unsightly wrinkles; 'take the waters' in a Provencal steam bath; release toxins via a Balinese deep tissue massage; or surrender to a Shiatsu massage. It's full steam ahead! Here’s our pick of the best wellness escapes in this India spas guide. A fashionable spot in which to unwind and literally get high is Ananda in the Himalayas. This wellness sanctuary situated in a restored royal palace in the Himalayan foothills, offers a blend of therapeutic treatments based on traditional ayurveda, yoga and meditation. The spa also offers the latest European, Tibetan and Thai treatments to purify the body and soothe the senses. Choose from over 80 body and beauty treatments performed in 24 therapy rooms. Try the ayurvedic abhyanga, a four-handed massage delivered by two therapists, which will help balance energy and eliminate impurities. There are also yoga venues, and a hydrotherapy area. After a hard day on the massage table, try a cooking class, nature walk or shoot some pool on the 100-year-old billiard table once used by the erstwhile maharaja. Alternatively, sweat out your toxins in the gym or head outside where you’ll find a temperature-controlled lap pool and six-hole golf course. Perched in the hills above the holy city of Rishikesh on the Ganges, Ananda is a short day’s drive (260km) from Delhi. If your wallet is up to it, charter a helicopter, or fly to Dehra Dun and do the one-hour scenic drive up. With good reason, Ananda is one of the top India spa resorts on our review list. Expect a dramatic journey to Moksha Himalaya Spa Resort. After a 90-minute scenic car journey from Chandigarh, you will hop in a cable car and glide over the Shivalik Valley until you reach this property. Hidden among the pine trees in the foothills of India’s majestic mountain range, this remote resort is located at a height of 5,200ft, offering knockout views in all directions. The spa embraces the philosophy of 'release and rebirth' and therapies are designed to focus on seven energy centres. Signature rituals blend ayurvedic and Thai therapies while massages incorporate Asian and European techniques. There are 12 treatment rooms, a nail bar and hair salon. Hydro facilities include a herbal steam bath, Vichy rain shower and Turkish hammams. The views from the outdoor heated infinity lap pool are incredible, particularly at sunset. Also find a sauna, six yoga and meditation pavilions, two outdoor Jacuzzis and a fitness centre. Various bespoke packages are available themed around pampering, well-being or discovery. Called 'Moksha Experiences', each includes personal reviews, fitness assessments, spa treatments and daily activities such as yoga, meditation and Indian cooking classes. Accommodation and meals are included. Stay in one of 62 suites located in colonial-inspired buildings, all with panoramic valley and mountain views. Gulmarg, with its needle-tipped pine forests, jagged snowy peaks and grassy valleys, is Instagram perfect. This paradisiacal place is home to the world-class Khyber Spa by L'Occitane, which beckons with the sweet promise of L'Occitane's Provencal-inspired treatments, coupled with seasonal flora, and pure Himalayan spring water. Later, at The Khyber Himalayan Resort & Spa, the intrepid traveller can swoop up the mountain on the Gulmarg Gondola (the world's highest ski lift that sits mere footsteps from the spa) and go on a cloud-breathing ski trail. Certainly not a trip for those who crave sterility, self-denial and salads. Dotting the north and west of the country with excellent facilities are a string of Oberoi Hotels with fancy spas, much favoured by corporate jetsetters. Up in the rarefied environs of the Himalayas, near the one-time summer capital of British India, Shimla, is Oberoi’s Wildflower Hall. Here, pine-scented mountain air and nature take charge of your senses. Wildflower Hall centres its therapies in Asia - Balinese deep tissue manipulation, Thai massages, and (closer to home), Himalayan cedar baths and ayurvedic treatments. Still in the north, Ranjit’s SVAASÁ Heritage Boutique Spa Haveli, Amritsar, is a mouthful. This is a family-run place in a red-brick colonial home with enough old world paraphernalia to keep the most fastidious historian in cheer. It underwent an expansion in both building and name, and now includes luxury suites as well as a presidential offering. At SVAASÁ, chocolate, yoghurt and green tea make up the delicious Signature Rituals. But if that doesn't float your boat, refuel and repair yourself with the ‘Angoor Ras Lepanam’, where you are doused in a scrub of grapes and wine, with just a dash of cardamom. Or you could sign up for the aromatherapy treatment. Or you could choose to envelope yourself in a cloak made of Dead Sea mud. Or, or, or...you get the drift. In busy New Delhi, smack in the heart of town in a garden setting, Shangri-La's – Eros Hotel, New Delhi offers extensive spa facilities with an arsenal of holistic wellness menus including steam rooms, private treatment rooms, Jacuzzis and ayurvedic massage. At CHI, the spa at Shangri-La, everything is worked in accordance with the Chinese philosophy of five elements, where metal, water, wood, fire and earth come together to balance the yin and yang of the body. Its signature journeys include the ‘Taste of India Retreat’, the Shangri-La Journey and a pre-bridal ‘Kalp Shringar’. Or just visit the beauty salon for some Indian-style pampering. At 16,000sq ft and counting, the Imperial Spa at the Imperial New Delhi is one of India's largest. You'll find a majestic mix of Moroccan architecture, Moghul motifs, arched white corridors and soothing scents of cedar, white musk and tonka bean. The spa offers a spectrum of soothing services, from the traditional Ayurveda massage and meditation to wraps, scrubs and personally-tailored treatments. Club Olympus at the Hyatt Regency Delhi oozes contemporary credentials, with soothing shades of beige meeting splashy modern art. Along with fitness facilities and the bathing complex are a modest range of beauty and massage therapies including the Philippine hilot, where banana leaves, coconut oil and hilot balm come together to calm body, mind and soul. Indulge in all this relaxing between sessions at the poolside bar. 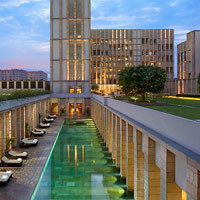 The Lodhi, New Delhi (formerly Aman New Delhi) is a chic urban retreat, less hotel than home. It rebranded on 1 February, 2013, and elegantly fuses rich Indian traditions (like architecture) with luxurious sophistications of the present (think pool suites). Expect dark timber panels, stone tiles, authentic handmade rugs and ornate jaali (latticework) screens. The tranquil Lodhi Spa has an extensive selection of face and body treatments and facilities include hammam steam baths and a bamboo relaxation garden. As well as a 50m swimming pool, there are three tennis courts, two air-conditioned squash courts, a Pilates studio and gym. If you're a yoga fan, ask for an early morning lesson in the nearby historic Lodhi Gardens dotted with ancient tombs. Located in the heart of the city, just next to The Delhi Golf Club, The Lodhi New Delhi is a sophisticated option for India spa seekers with deep pockets. At the smokily boutique and central The Park New Delhi, the Aura day spa aims to soothe away those business executive worries. The hotel is unimposing from the outside but don't let this discourage you. Once inside, designer flourishes kick in and serene earth tones and rich woods are perked up with bold splashes of colour and mysterious beaded curtains. The incense fumes may not agree with everyone though. Try the ambitious 'Aura’s Soul Balancing Face Massage' – a treatment “to rebalance the bio-energy of the body” by activating points on the face, head and feet. And if you like this, there’s more… Aura has sister operations in Chennai, Kolkata, Visakhapatnam and Hyderabad. The Roseate (formerly managed by Dusit) in New Delhi has bagged itself a clutch of awards, everything from favourite spa resort to landscape design of the year. Its sophisticated spa, Aheli, is no laggard either, winning global acclaim; it has everything your jaded heart can desire. Internationally-trained therapists? Check. A traditional hammam? Check. Yoga and ayurvedic therapy? Check. Deep-pocketed clients? Check. In the heart of New Delhi's garden centre, is The Claridges. Elegant and stately, this is a top choice with business and leisure travellers who relish a peaceful urban retreat. Let therapists at The Claridges Spa come to your rescue after all that shopping. Choose from several ancient, modern Indian, and international rituals performed in 10 private spa suites. Go galactic as you gaze at the starry ceiling in the steam room. Also visit the yoga and meditation studio, gym, and beauty salon. Hungry? A walk into the Claridges garden will lead you to scrumptious afternoon teas and champagne brunches; you could spear a bite of their famous bitter chocolate cake at Ye Old Bakery; or choose from a palette of Chinese, Punjabi, and Mediterranean restaurants. At The Westin Sohna Resort & Spa you can work out in your room, jog around the neighbourhood with a hotel running map in hand or chant your stresses away in the spa's meditation pyramid. The hotel has a suburban countryside location, a 45-minute drive from Gurgaon and 60km from Indira Gandhi International Airport, New Delhi. Its rooms are modern and welcoming, offering green views and modern amenities such as DVD players and rain showers. Mingle with other sporty guests in the fitness centre, the freeform pool or at the tennis court. The Westin group's signature Heavenly Spa has seven smart treatment alcoves, each with its own outdoor shower and bathtub. One is dedicated to ayurveda and another to Thai massage. The eclectic, global spa menu includes Chinese acupressure foot massage, Balinese rubs, Javanese mask and Hawaiian lomi lomi treatment. Check out the serene meditation pyramid, located in the centre of the spa and surrounded by water. Or practise your tree pose in the open-air yoga room. For face, hand, and hair care, there's a beauty salon. On with our India spas guide as we leave the capital region and head towards the desert sands. There’s nothing like a good massage after galumphing around on a camel, and Neemrana Fort-Palace offers both options in some seriously majestic surroundings. The ancient 25-acre property (a two-hour drive from Delhi) is hewn into the Rajasthan hillside, and its Spa focuses primarily on holistic ayurvedic treatments. Other courses of therapy combine techniques from across Asia, and use mineral extracts from the deeply plundered Dead Sea. Bask by the open-air pool with views over Neemrana village and fields, or take advantage of free yoga and meditation classes. This is a truly dramatic setting for a wellness escape, set in rugged countryside reeking of history. If you’re heading on to Agra, the home of the Taj Mahal, pamper yourself in one of the finest India spas at The Oberoi Amarvilas where every suite has a view of this Moghul monument to love. Get in early before the summer sun heats up the stone floors leaving you skipping like a cat on a hot tin roof. The 'Noor-e-Taj Romance' is a right royal three-hour experience that includes a steam bath, pomegranate and orange wrap, massage and cleansing bath. Also close to the Taj Mahal is ITC Mughal, a resort hotel and spa spread over 35 acres. Sunny courtyards, gushing fountains and rich decor reflect the grandeur of the Mughal dynasty in a contemporary setting. Find an eight-room spa where you can enjoy a “Taj Mahal Romance” couple’s treatment. Shine like a crazy diamond after a gemstone massage then lie back and enjoy a facial using finely crushed pearls. If you don’t fancy chilling out in the relaxation room after your treatment, head to the tranquil bird trail or the butterfly park instead. On to Jaipur capital city of the state of Rajasthan, where sister property The Oberoi Rajvilas awaits with soothing milk and rose baths, thermal mud and even massage lessons for couples. After a day of storming through Jaipur’s fabulous sightseeing, don’t miss out on the 'Spirit of Ayurveda' treatment that includes a hot herbal pouch massage, shirodhara (where a stream of sesame oil is poured over your third eye), and a floral bath. Further calls to extravagance can be found at the The Jai Mahal Palace (by the Taj group of hotels), a landscaped wonder. The tented spa complex offers services from the Rajasthani ‘ubtan’ to the lavish seeming ‘Royal Aromatic Massage’, combining western and Indian therapies. Experience the allure of a real oasis at Amanbagh by Aman Resorts, an upscale yet understated refresher among Alwar’s dusty Aravalli Hills, not far from Jaipur. Once the resting ground for the Maharaja of Alwar's tiger hunts, the sprawling heritage resort features a 33m pool and a large, architecturally pleasing spa pavilion. Amanbagh has kept its elegant, old-world charm intact, and that alone makes it worth a visit. But what really distinguishes it, though, isn't Mughal at all, but its ayurvedic-inspired spa activities, including ayurvedic cooking classes. The Ayur Immersion for instance, a four-day healing programme, includes ayurvedic spa treatments, dosha-specific meals, and yoga and meditation. In Rajasthan, the Oberoi Group has two other resorts – in the Ranthambore tiger reserve and in the haunting lake city of Udaipur. In Ranthambhore, tangle with tigers at The Oberoi Vanyavilas before soothing your nerves with a stint at the spa. Perched over a lake, the pavilion-style building features steam rooms, showers, baths and therapy suites. Therapists are on hand to administer beauty and spa treatments, such as the rose and peony mask, rosemary and pineapple face scrub and marigold bath. Fortunately these are flavours not known to feature prominently on many tiger menus. Also try the three-hour Safari Sanctuary treatment, which takes place in the jungle so you can relax to the sound of birds and monkeys rather than the usual pan pipes. 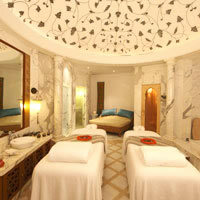 In the spa suites at The Oberoi Udaivilas, rejuvenation and relaxation is on a royal scale. There are spectacular views of Picchola Lake and the City Palace outside, while inside, the awesomely-named Royal Treasures will assail you with a crystal rose salt scrub, moisturising vetiver body wrap, and a massage capped by a milk and rose bath. 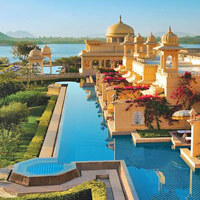 The construct of this splendid retreat mimics the Rajasthani palaces of yore, complete with cupolas and water gardens. Take a boat out to the lake to truly enjoy the spectacle of this resort mirrored in the evening or dawn waters. This is one of the top picks in our India spas review. Devigarh Palace was once the Delwara Fort Palace, a palace fortress constructed by Rajrana Sajja Singh II in 1760. Its new owners worked to preserve its 18th C aesthetic, restoring as much as they could while instilling a luxurious, modern feel to it. A British company, runs the spa; the treatments include Marma massage techniques, subtle chakra cleansing and herbal poultices. If you want to glow from within and without, book yourself a treatment from the Blessings Menu. With names like Prayer of the Earth, Soul Awakening and Shining Jewel Puja, you're promised a heavenly ride. Others can choose from more traditional therapies like the Manipura Full Body Massage and the Instantly Detoxifying Scrub. At the stunning Taj Lake Palace, Udaipur, look forward to the 'mewar khas' pre-bathing ritual along with a host of treatments, body scrubs, facials, wraps and massage. Cruise the mirror-smooth waters of the historic lake on a Jiva Spa Boat, the epitome of royal indulgence. The Leela Palace Udaipur is on a suitably grand scale with palatial features and an ESPA set in garden courtyards with views of the lake. Look for the Aroma Steam Rooms with their amethyst crystal decor and anthracite glass tiles. 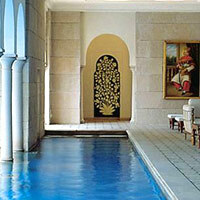 Move on then to a Spa Tent or opt for a Palace Suite with its own swimming pool set within a walled garden. 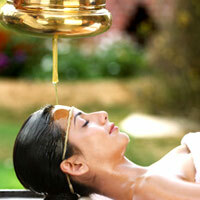 Expect ayurvedic treatments galore as well as pampering facials. Bring your wellness dictionary along to Madhubhan Resort and Spa in Vallabh Vidyanagar, on the outskirts of Anand, in Gujarat. More self-explanatory is the rice and oatmeal body polish and the Arabic coffee exfoliation. Breakfast anyone? Globetrot without leaving your spa room courtesy of massages from Bali, Thailand, Sweden and France. Traditionalists can stick to nourishing ayurvedic and herbal therapies. For French manicures, funky nail art or henna tattoos, head to the beauty salon, which also offers hairdressing and makeovers. The resort also has a large swimming pool, a yoga deck, a kids’ zone, volleyball, badminton and tennis. On the west coast, in the financial heartland of Mumbai, take time out at the sprawling artwork-festooned, yet brisk, Grand Hyatt Mumbai and its Club Oasis Fitness Centre and Spa complete with treatments rooms, Jacuzzis, steam rooms, whirlpool baths and outdoor pools. Indulge yourself with delicious treatments such as the Papaya Scrub, the Vanilla Body Scrub, Cool Mocha and the Green Tea Facial. For a more desi touch, try the Indian Head Massage for Rs3,000. Look forward to 1,022sq m of swing-out space with an arsenal of equipment at the fitness centre including an Italian Techno-gym, volleyball court, tennis court and a children’s pool. The theme of water seeps into the spa treatments at JW Marriott, Mumbai's state-of-the-art and utterly spoiling Quan Spa. An aquatic art installation shimmers away at the reception; within, treatments include the Ocean Detox Bath, the Earth and Ocean Hot Stone Massage, and the Sandalwood Rainshower (for creaky backs); plus, all spa products are crafted by Thalgo Marine, from ingredients that spring from the sea. At The Leela Mumbai, enjoy gardens, a swimming pool, complimentary yoga and meditation classes, a spa cuisine menu (that panders to the gluten and dairy-phobes), gym and spa with European, Oriental and ayurvedic therapies, plus all the usual ESPA treatments. Think Hand and Foot Reflexology, Soothing Scalp Massage and the now-ubiquitous Jetlag Recovery Treatment. The Oberoi, Mumbai has an impressive 24-hour spa and high-tech fitness centre with sea views while at the stately, sun-washed Taj Mahal Palace, Mumbai, guests are pampered, pummelled and polished back to health, in treatment rooms at the signature Jiva Spa. Expect spa cuisine and holistic remedies from 'Pehlwan Malish' (a warrior’s massage), to aromatherapy, yoga, scrubs and beauty treatments. The 'Sukha' (bliss), with scrub, wrap and massage, runs for three-and-a-half hours. No scrimping on attention here. The Four Seasons Hotel, Mumbai, teeters high above the straggling, sprawling stack of shanties that girdle it. Inside one of its eight spa rooms, you are further elevated to the portals of bliss with healing massages, body and facial treatments, and yoga. For an even more rarefied treat, step into the Rossano Ferretti salon. The Four Seasons is the only Mumbai hotel to have one. The Iridium Spa, at the opulent St Regis Mumbai, has plucked its treatments from as far afield as Bali, Thailand, America (Native American hot stone therapy), and even Hungary (yes!). There is a special menu available for the suave, urbane gentleman of today, and rather sumptuous Signature Journeys for two, that include gold and blue diamond facials. Brides and grooms to be can avail of the Bride and Groom Rituals (with champagne and truffles for both), for up to six months before their wedding bells ring. Pure indulgence. Testament to Areopagus Spa's popularity in Mumbai are the glowing reviews it has received from luminous Bollywood actresses Malaika Arora, Urmila Matondkar and Aditi Gowitrikar. Further proof can be found via its popular pre-wedding sangeet treatments and 'kitty party' offerings - clearly, they have plunged headlong into the local pool. This is a mid-range spa, not given to extravagant displays of luxury. Areopagus has outlets dotted around the city and its therapists here are trained in the ancient Japanese and Chinese arts of shiatsu, tai chi therapy, and yuki. Pune city is not particularly known for its bracing spa treatments, but just a few hours away from Mumbai, you'll find two luxurious retreats that promise to cocoon you in comfort. The first of these is Atmantan Wellness Centre. Cloaked by the Sahyadri hills and fringed by Mulshi Lake, Atmantan is the perfect antidote to the poison of urban ennui. The motif that runs through it is eco-sensitivity; it serves locally-grown and gathered food, uses only battery-operated vehicles, recycles as much as it can, and uses mostly solar energy for heating water. This earth-friendly philosophy has crept into its spa too – all products used here are natural and free of harmful chemical preservatives. The encyclopaedic spa menu straddles everything from yogic kriyas and laughter therapy to water therapy and pranic healing. We'd plump for the ‘7 Night Spa Life Retreat’, with facials, massages, wraps, body scrubs, foot reflexology and balneotherapy (bathing in mineral springs). 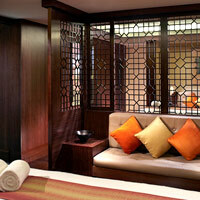 This one is for the well-heeled - three nights in a single room cost Rs75,000 (US$1,150). The second is the sprawling Hilton Shillim Estate Retreat and Spa. A hair's breadth away from tiny Shilim village and presided over by the Western Ghats, Shillim is the place to ease those jangled city nerves – simply swap your suit for a bath robe, and you're good to go. Prepare yourself to be pampered silly, no matter which wellness experience you choose – yoga, ayurveda, detox and so on. Shillim comes with more awards than you can shake a stick at. Head southeast to the Leonia Holistic Destination in Hyderabad and give your body and mind a full makeover in the Leo Juventa Centre for Integrated Medicine. This medical spa is spread over five floors and offers an encyclopaedia of treatments and packages from pampering and detox to cosmetic laser therapy and sports rehabilitation. Doctors and health experts have created specialised programmes and treatments for weight management, body shaping, anti-ageing, stress, and diabetes. There are also hoary Indian therapies and a long list of massages, scrubs, wraps and baths, plus a beauty and hair salon for facials. Colon hydrotherapy is available for the daring while fitness fanatics can play tennis, badminton, squash and volleyball at the resort (and this is indeed a resort, despite the dull name, make no mistake). The only downside to the resort's well-featured Lil Champs kids' club is that you may never see your children again. The facilities – from Xbox 360s, Nintendo Wiis and PS3s – are fun and inventive and cater for all ages. There's also a kids’ spa with child-friendly treatments, a mini salon offering “hip hairdos”, fun yoga and a long list of energetic activities. The upscale and trendy Ista hotel chain has been absorbed by the Hyatt group, and has properties across India including Bengaluru, Hyderabad, Amritsar and Pune. Modern and imaginative, these vibrant young hotels cater seamlessly for business and leisure travellers. Ista Hyderabad (now renamed the Hyatt Hyderabad Gachibowli) is a top option for those wanting to swap their corporate pinstripes for fluffy white robes and squishy slippers. If you’re short of time try the 'Kati Vasti' espresso 30-minute back treatment for grumbling lower backs. There's also a swimming pool and gym with personal trainers. There are spas too at Ista Amritsar and the trendy Ista Bengaluru. The Taj group is a polished presence not only in key Indian business cities, but in the spa and health arena especially in Goa and Kerala. Many of its spa resorts now fall under the Vivanta by Taj banner, a stylish and upscale brand launched in September 2010. All have Jiva Spas offering the same impressive menu of treatments with a few regional surprises. In Goa, don’t miss out on the Vivanta by Taj - Fort Aguada, Goa. Built on the ramparts of a 16th Century Portuguese fortress, the resort is part of a sprawling 73-acre complex overlooking the Arabian Sea. Situated right on the beach, the resort offers guests a unique opportunity to relax in elegantly appointed villas and cottages, serenaded by lapping waves. 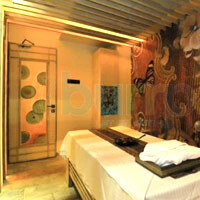 The spa complements its Goan-Portugese design with a tropical feel, and Indian therapies are a specialty. Each treatment suite has its own soak pool, while yoga rooms and ayurveda physicians are on hand for all your physical, and metaphysical needs. There’s also a standalone beauty salon. For those who are slaves to their stomachs, Jiva offers a spa menu that braids together Indian, Asian and Western cooking styles, for lighter, healthier meals. All great for increased energy (and decreased weight)! There are two other hotels to choose from in Goa. 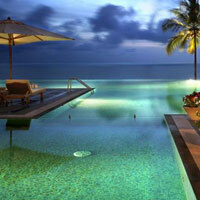 The Taj Exotica is a Mediterranean-style resort perched on the southwest coast of Goa, overlooking the Arabian Sea. It is situated on 56 acres of landscaped lawns, complete with tropical plants and graceful palms. The Vivanta by Taj - Holiday Village, Goa, is a complex of terracotta-roof Portuguese-Goan cottages, set amidst acres of palm-fringed landscaped gardens just 45-minutes from the airport. All three have Jiva Spas offering traditional Indian therapies and ancient spiritual remedies, ayurveda wellness, scrubs and wraps. Float into a state of Bacchanalian bliss with one of Jiva's signature experiences like Ventoz (a form of Indian cupping), that involves, well, cupping, followed by a deep massage. You can also join yoga and meditation classes or head to the gym. And there’s that organic spa menu, wherever you go. At the Baroque-PortugeseThe LaLiT Golf & Spa Resort Goa, golfing and spa-ing can go hand in hand, with 40 green acres to traverse before a well-deserved pummel. The Rejuve Spa features 10 treatment rooms, a gym, yoga studio, beauty salon and wet area with sauna, steam room, Jacuzzi, chill pool and hydrotherapy tub. Go for a Javanese or Balinese treatment one day, opt for something ayurvedic the next. Don’t forget to try out the pulsating showers. There’s also a nine-hole, par-three golf course at The Leela Goa, which is located on the banks of the River Sal. Set on 75 luxurious acres along prime Arabian Sea beachfront, all rooms face water and range from the pavilions to 93sq m lagoon suites and four sumptuous 133sq m royal villas. The spa specialises in ayurvedic treatments but also offers a buffet of yoga, Western spa therapies and massages, sauna and steam areas and a gym. The Club at The Leela is a private enclave (with separate check-in) of 15 villas, some with private pools and outdoor showers. The Park Hyatt Goa Resort and Spa (formerly Hyatt Regency Goa Resort and Spa) is a 251-room resort designed to mirror Goa's diverse cultural heritage. The resort offers a laid-back Mediterranean atmosphere, imitating a Goan village with its series of pousadas. Rooms are contemporary with verandahs or balconies and bathrooms feature sunken baths and rain showers. Some rooms have their own private patch of garden. The resort’s Sereno Spa offers ayurvedic and international fare and has its therapy pavilions arrayed around an inner courtyard. The spa's gathered a clutch of awards domestic and international. And for kids there’s Camp Hyatt and one of the largest swimming pools in the country. Independent operators like the Ayurvedic Natural Health Centre in Goa may not offer five-star frills but they do have musclebound, die-hard ayurvedic practitioners versed in the five classic panchkarma treatments. These include vamana (emetics), virecana (laxatives), basti (a medicated enema), nasya (nasal cleansing), and rakta mokshana (blood letting). That’s right, blood letting. If your knees are knocking violently at all this and you are not convinced, head to the Centre’s New Age aura imaging centre, which will take before-and-after snapshots of your chakra colours to make the point that ayurveda can and will boost your energy levels. And don’t miss out on the yoga, or the potentially even more punishing “Diet Management” programme. There are also several beach resorts operated by the group along the coast of Goa. That’s the pick of the best Goa spa resorts. Bangalore (now Bengaluru), India’s Garden City and Silicon Valley is blessed with a temperate climate, great cuisine and some good spas to boot. These days, traffic is the only downside. The Golden Palms Hotel & Spa is located on the outskirts of the city in several acres of lush garden. Accommodation features include a hypoallergenic pillow, safety deposit boxes, minibar, and rooms with wheelchair access. The spa features the usual smorgasbord of wraps, scrubs and massages, plus there’s an extensive gym (with a ladies-only area), aerobic studio, Turkish hammams, steam rooms and a Jacuzzi. The more horizontally-challenged among us may choose from the two specialist body slimming treatments: Dyno Body Toning, in which a machine zaps your muscles to stimulate and condition them, and G.5 Vibration, in which a machine massages your fatty bits to stimulate blood and lymphatic circulation. Also downtown, Spa.ce is an independent option with a good set of day packages. Look out for the spa parties offered on birthdays, bachelorettes, baby showers, mehendi parties and corporate celebrations. Interiors here are stylish but homey, the menu is long and there’s a lovely courtyard space for those that like a little sunshine with their spa. It's all very comfortable without being formal. The well regarded Angsana Bangalore (managed by Singapore-based Banyan Tree) is located outside town and offers a variety of holistic, therapeutic and customised spa programmes. There are six massage pavilions, shielded from the elements by bamboo screens, and adjoining alfresco showers. The Roman pools (for hydrotherapy) are encased in one-way glass windows that afford a splendid view of the landscaped gardens and green lawns. We presume it’s one-way. Angsana Spa treatments come with a hefty price tag, but there are attractive spa and ayurvedic packages that include room tariff, vegetarian meals and a couple of massages and spa treatments. MNCs often host annual office parties here, transforming their troop of weary executives into a healed, happy and hearty bunch. A luxe option is the spa at The Ritz-Carlton Bangalore, set back discretely in a chic cream stone building just off Residency Road in the heart of town. With 17,000sq ft of pampering space there's ample scope for individuals and couples to get lost for hours, if not at least an afternoon. There are nine singles rooms (with showers) and a VIP spa suite. Try a 90-minute 'Jaali Embrace' with a four hand massage, or a 90-minute 'Chiang Mai Samunprai' herbal compress. A big range of holistic wellness treatments await at this urban retreat. Oryza on Lavelle Road is the pit-stop for those jet-setting business folk who have an hour to spare, between meetings and flights. Those in the know swear by Oryza's foot spa, where taut muscles are unclenched using a series of clay masks, massages and exfoliation. It isn't just Bengaluru-based though – spa aficionados will be pleased to find a handful of Oryza outlets in Chennai as well. Luckily, none of them cost a fortune. Soukya Holistic Health and Ayurveda Treatment Centre is a residential integrative medical centre with a focus on holistic healing. 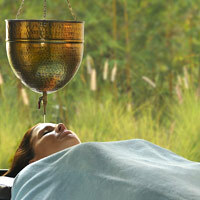 It offers ayurveda, homeopathy, naturopathy and a wide range of therapies such as yoga, acupuncture, and acupressure. There are also specific programmes devised for cardiac hypertension, diabetes, arthritis, asthma and tackling addictions such as smoking. Stay in a traditional Indian-style cottage. Use your private garden for yoga or sunbathing with your Idiot's Guide to Ayurveda. A 2.2km jogging trail encircles the property, which includes an outdoor swimming pool, volleyball and badminton courts and an intriguing reflexology walk. The 30-acre resort is located on an organic farm in the countryside east of Bengaluru, less than half an hour from the airport. Also an hour from the Bangalore international airport is the 25-acre 12-cottage yoga retreat Shreyas. The focus is on the spiritual aspects of yoga with facilities for spa treatments and detox programmes too. Shreyas provides a neat rustic setting with some 'walled' tents, canopies stretched taut in green surrounds. Or opt for smart Poolside Cottages or a Three Bedroom Cottage if you require more space and stretch room. Emerge Spa offers rejuvenating and curative treatments from Bali, Europe and India, and can be found in the Windflower Resorts in Mysore (now Mysuru) and Coorg. The Mysuru resort has 39 rooms and is located at the foot of the sacred Chamundi Hill. Although conveniently located only 2.5km from the city, the 10-acre grounds offer the peace and quiet needed for some full-blown lazing. A waterfall gushes into the swimming pool, plus there's a gym and private yoga lessons. Misty slopes, eucalyptus forests and sweet aromas welcome you to the Coorg resort, located in the middle of a coffee plantation, two hours by car from Mysuru. For a top-to-toe wellness experience try the “Coorg Spa Pampering” package (minimum three days), which includes accommodation, meals, two daily spa treatments, yoga, health and wellness consultations, body composition analysis and lifestyle counselling. When a huge helping of peace and serenity is all you crave, nothing beats the tranquillity of SwaSwara in Karnataka state. Perched atop a cliff overlooking Gokarna beach, SwaSwara is secluded and serene, with nary a soul for miles around. The emphasis here is on a healthy lifestyle, incorporating yoga, naturopathy and ayurveda within a holistic wellness package. Eat healthy, organic cuisine, live in traditional Konkan-style villas, and return rejuvenated. Across on the southeast coast, fringing the Bay of Bengal, is Vivanta by Taj - Fisherman's Cove, Chennai (formerly Madras), which also has the group’s signature Jiva Spa. Rooms have views of the sea and there are cottages as well. Try a spice scrub to improve circulation. The Park in Chennai also has the hotel group’s signature Aura spa. Located on the ninth floor, you can gaze out over the city skyline as your cheeks are smeared with wrinkle-busting saffron and almond cream. Remember you don’t have wings as you emerge from your coconut cocoon with added turmeric sprinklings. You may need a couple of cucumber slices for your eyes in the rather dazzling relaxation area, which is bejewelled with imitation sapphires, emeralds, rubies and diamonds. The hotel itself offers a central location and likeable designer twists. 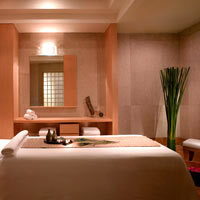 For top-to-toe rejuvenation, head to Kaya Kalp at the ITC Grand Chola, Sheraton. On the cards are beauty elixirs, massages, scrubs, wraps and ayurvedic treatments. If you're in the mood for something particularly decadent, try the Exotic Pomegranate Ritual – therapists will slather a blend of pomegranate, milk, lemon skin and brown sugar over you, then follow it up with a Kaya Kalp massage and end with a soothing foot massage. Too long? Hop over for a Brisk Spa procedure, where every therapy is 20 minutes only. However it is in the deep south, in Kerala, the state called “God’s Own Country”, that treatments and ayurveda really come into their own. Here’s our pick of some top Kerala spa resorts. The Taj group runs some interesting properties here but one to check is Vivanta by Taj – Kumarakom, straddling the backwaters. This is an elegant and spacious retreat well located for tours. The Vivanta by Taj - Malabar on Willingdon Island, Kochi (formerly Cocjin), also has a Jiva Spa. Get primped and primed while gazing into the blue of its infinity pool, which merges into a sea view often peppered with frolicking dolphins. All of the Vivanta by Taj properties in Kerala have two things in common: limpid water bodies that fringe each property, and the group's Jiva spas. All Jiva spas are known to be at once stylish, yet warm, but the Jiva Grande at Bekal's Vivanta by Taj, may beat them all. Each treatment suite has its own private courtyard, two sections dedicated to their signature Alepa and Abhisheka experiences, as well as a fire ceremony, presided over by an in-house priest, to improve guests' longevity and health. The two-century-old Malabar House Fort Cochin, with its 17 quaint rooms and suites featuring antique furniture and propah four-poster beds, also serves up lip-smacking Mediterranean and South Indian dishes. The house speciality at the ayurvedic spa is kalari, which uses medicinal oils in a form of massage developed from kalarippayatu, one of the oldest martial art forms in Asia. It improves circulation and can alleviate headaches, back pain and arthritis. At Kumarakom Lake Resort you can stay in a houseboat and be treated by a family of renowned ayurvedic practitioners. Converted from a traditional house, the Ayurmana Spa has been home to the Chathamangalathu Mana family for around 200 years. Talk through your health concerns, then let them treat you with cooked milk and herbs, medicated oils and buttermilk, or choose a spa package for weight reduction, arthritis or detox. Massages come in all shapes and sizes from athletic to lymphatic, and lickable facials include papaya, banana or orange. Tucked away in the backwaters of Kerala, this stylish heritage retreat blends contemporary comforts with traditional charm. The 59 rooms, villas and suites are quaint reconstructions of sixteenth-century homes and are built with authentic materials from derelict ancestral buildings. But why stay within four walls when you could be floating on Vembanad Lake in a houseboat? These wooden vessels may look a bit rickety (they're held together by ropes, not nails) but once inside you'll be spoilt with plush furnishings and modern amenities including much-needed air-con. 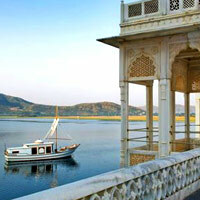 Houseboat guests can use all resort facilities and receive ayurvedic packages at discounted rates. Ship ahoy! Unsurprisingly, this is among the top India spas around. The Zuri Kumarakom on Vembanad Lake is a stalwart on the India spa scene and serves up an 18-acre luxe retreat with wellness treatments and massages at its Maya Spa. The place specialises in ayurvedic treatments. The Marari Beach, run by the fast-expanding responsible tourism hotel chain CGH Earth at Mararikulam, Kerala, is spread over 55 expansive acres of seafront sand and garden. The 52 cottages are positioned to afford maximum privacy and space. There’s an ayurvedic centre and yoga classes are held in the shade of a coconut grove. At the private and upscale Coconut Lagoon (you can only access it by boat), run by the same group at Kumarakom, there’s a sense of style and tradition in the construction of the Heritage Bungalows and Heritage Mansions set in verdant lawns criss-crossed by canals and waterways. The resort has fine spa facilities and treatments and is an excellent jump-off point for backwater cruises. This is a resort that has very much set the pace. Whether you're looking for an afternoon massage to recharge your batteries or a two-week therapeutic retreat – you will find it all at Kairali Ayurvedic Health Resort, set among 50 acres of lush greenery in Palakkad, Kerala. The more adventurous can learn about ancient charms and ritualistic ceremonies or have butter poured in their eyes to help strengthen optic nerves. Ghee whizz! Those wishing to play it safe can choose from an extensive menu of massages and facials as well as more specialised slimming and body firming treatments. There's also a yoga centre, swimming pool, jogging track, billiards room, Internet cafe and badminton and tennis courts. Kairali has sister properties in Karnataka also offering ayurvedic treatments and packages. Do your sun salutations on the sand at Om Beach Resort in Gokarna. There are more ayurvedic delights at The Leela Kovalam in Kerala, this time of a more godly nature. The Spa contrasts the old and the new, offering traditional medicines and panchakarma therapies alongside a modish massage centre. The spa programmes aim to help guests de-stress, detox or refresh, and run from one to three days. With more than 20 years of experience, Somatheeram Ayurvedic Health Resort is an ideal choice for those wanting top quality treatments in a tropical, beachfront environment. Kerala’s former ayurveda director runs the spa, which offers at least 30 different treatments performed by 13 doctors and 70 therapists. Over 200 different ayurvedic herbs grow beneath the towering palms and mango trees and guests can visit the nearby production centre where all oils and medicines are handmade by Somatheeram staff. 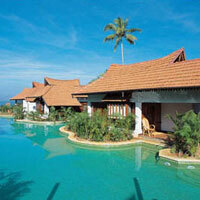 You’ll find Somatheeram near Kovalam, on Kerala’s Malabar Coast, 21km from Trivandrum International Airport. The resort's terraced layout offers splendid views of the coast and narrow footpaths weave through trees and past sculptures, down to the white sandy beach. 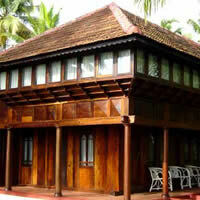 Stay in a Seaview Cottage or one of the restored 300-year-old Kerala Houses. There are daily yoga and meditation sessions and early risers can watch local fishermen hauling in their nets. There are Indian spas galore but this one is a rustic standout. Further up the hills in the green tea estates and jungles surrounding Periyar Lake and its elephants is Casino’s Spice Village, run by CGH Earth. It’s back to basics here but in comfort. As the hotel likes to point out, “Airconditioning? Unnecessary,” and "Birdsong takes the place of television.” You get the drift. There are 52 cottages set in eight generous acres of hillside. A lack of TV should not be a reason to get fidgety especially with facilities such as a tennis and badminton court, swimming pool and billiards table. Or simply book an ayurvedic treatment, get bendy with a spot of yoga or zone out with some guided meditation. And at Kovalam, if you can pronounce it, the Niraamaya - Surya Samudra Kovalam offers traditional Tharavad houses with 25 guestrooms and a modern infinity pool. 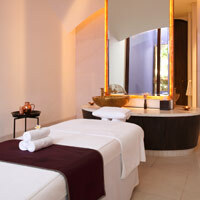 Whether you’re lobster pink with sunburn or baggy-eyed from jet lag – the Spa Niraamaya will have a treatment for you. For a complete change of pace, check in to Soul & Surf in Kerala's Edenic Varkala. Lose yourself in the sun, sand and frothy sea as surf instructors take you through the noseride, the cross-step, the hang ten and the drop-knee turn. Subsequent aching muscles will be soothed and smoothed by senior holistic therapists who incorporate everything from Esalen Massage and trauma release therapy to deep tissue massages, in one of two treatments - the Holistic Experience and the Deeper Experience. Throw in a truly delectable view and some good cooking, and there's your holiday made. If you’re willing to invest some time in a good wellness escape, try one of the many India spa resorts on offer. Well there it is. Shake a leg. Or rattle some bone. The informative Tourism Ministry site at www.incredibleindia.org; and the gist of Kerala spa holiday options at www.keralatourism.org. The Oberoi Group. 7 Sham Nath Marg, Delhi 110054. Tel: [91-11] 2389-0606, (www.oberoihotels.com). The Oberoi Amarvilas, Agra. Delhi head office reservations, tel: [91-11] 2389-0606, www.oberoihotels.com/oberoi_amarvilas/). The Oberoi Mumbai. Tel: [91-22] 6632-5757, fax: 6632-4142, (www.oberoihotels.com/oberoi_mumbai/). The Oberoi Rajvilas, Jaipur. Delhi head office reservations, tel: [91-11] 2389-0606, (www.oberoihotels.com/oberoi_rajvilas/). The Oberoi Udaivilas, Udaipur. Delhi head office reservations, tel: [91-11] 2389-0606, (www.oberoihotels.com/oberoi_udaivilas/). The Oberoi Vanyavilas, Ranthambore. Delhi head office reservations, tel: [91-11] 2389-0606, (www.oberoihotels.com/oberoi_vanyavilas/). Wild Flower Hall, Shimla. 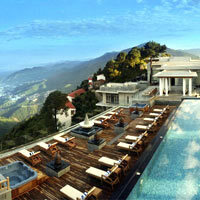 Delhi head office reservations, tel: [91-11] 2389-0606, (http://www.oberoihotels.com/hotels-in-shimla-wfh/). The Taj Group. Mumbai (Bombay) head office reservations, Tel: [91-22] 6665-1000. fax: 2284-6680, (https://www.tajhotels.com/). Jai Mahal Palace, Jaipur. Tel: [91-141] 222-3636, fax: 222-0707, (https://taj.tajhotels.com/en-in/jai-mahal-palace-jaipur/). Taj Exotica, Goa. Tel: [91-832] 668-3333, fax: 277-1515, (https://taj.tajhotels.com/en-in/taj-exotica-goa/). Taj Lake Palace, Udaipur. Tel: [91-294] 242-8800, fax: 242-8700, (https://taj.tajhotels.com/en-in/taj-lake-palace-udaipur/). Taj Mahal Palace, Mumbai. Tel: [91-22] 6665-3366, fax: 6665-0323), (https://taj.tajhotels.com/en-in/taj-mahal-palace-mumbai/). Vivanta by Taj - Bekal. Tel: [91-467] 661-6612, fax: : [91-467] 661-6613, (https://vivanta.tajhotels.com/en-in/bekal-kerala/). Vivanta by Taj - Fisherman's Cove, Chennai. Tel: [91-44] 6741-3333, fax: 6741-3330, (https://vivanta.tajhotels.com/en-in/fishermans-cove-chennai/). Vivanta by Taj - Fort Aguada, Goa. Tel: [91-832] 664-5858, fax: 664-5868, (https://vivanta.tajhotels.com/en-in/fort-aguada-goa/). Vivanta by Taj - Holiday Village, Goa. Tel: [91-832] 664-5858, fax: 664-5502, (https://vivanta.tajhotels.com/en-in/holiday-village-goa/). Vivanta by Taj - Kumarakom, Kerala. Tel: [91-481] 252-5711, fax: 252-4371, (https://vivanta.tajhotels.com/en-in/kumarakom-kerala/). Vivanta by Taj - Malabar, Cochin. Tel: [91-484] 664-3000, fax: 664-3182, https://vivanta.tajhotels.com/en-in/malabar-cochin/). Amanbagh, Ajabgarh. Tel: [91-1465] 223-333 / 98281-66737, fax: 1465-223-335, (https://www.aman.com/resorts/amanbagh). Ananda in the Himalayas. Tel:  124-451-6650, (www.anandaspa.com). Angsana Bengaluru. Tel: [91-80] 2846-8892, fax: 2846-8897, www.angsana.com/en/ap-india-bangalore). Atmantan, Pune. Tel: [91-22] 6676-6666 (https://www.atmantan.com/). Areopagus, Mumbai. Tel: [91-22] 2361-8221, (http://www.areopagus.in/). Ayurvedic Natural Health Centre Pvt Ltd, Saligao, Bardez, Goa. Tel: [91-832] 240-9275, fax: 240-9127, (www.healthandayurveda.com). Coconut Lagoon, Kumarakom, Kerala. CGH Earth, Kochi, tel: [91-484] 301-1711, (www.cghearth.com). Devi Garh, Udaipur, Rajasthan. Tel: [91-291] 263-6455, (www.raasdevigarh.com). Golden Palms Hotel & Spa, Bengaluru. Tel: [91-80] 2371-2222, fax: 2371-0022, (www.goldenpalmshotel.com). Grand Hyatt Mumbai. Tel: [91-22] 6676-1234, fax: 6676-1235, (https://mumbai.grand.hyatt.com/en/hotel/home.html). Hyatt Regency Delhi. Tel: [91-11] 2679-1234, fax: 2679-1122, (https://delhi.regency.hyatt.com/en/hotel/home.html). Hyatt Bangalore. Tel: [91-80] 4936-1234, (https://bangalore.hyatthotels.hyatt.com/en/hotel/home.html). Hyatt Hyderabad Gachibowli. Tel: [91-40] 4848-1234, (https://hyderabad.hyatthotels.hyatt.com/en/hotel/home.html). ITC Mughal, Agra, Uttar Pradesh. Tel: [91-56] 2402-1700, fax: 2233-1730, (https://www.itchotels.in/hotels/agra/itcmughal.html). JW Marriott Mumbai. Tel: [91-22] 6693-3000, (http://www.marriott.com/hotels/travel/bomjw-jw-marriott-mumbai-juhu/). Kairali Ayurvedic Health Resort. New Delhi head office reservations, tel:  955-515-6156, (www.kairali.com). Kumarakom Lake Resort, Kottayam, Kerala. Tel: [91-481] 252-4900, fax: 252-4987, (www.kumarakomlakeresort.in). Leonia Holistic Destination. Tel: [91-40] 6640-0000, fax: 6640-4040, (www.leonia.in). Madhubhan Resort and Spa. Vallabh Vidyanagar, Gujarat. (www.madhubhanresortandspa.com). Malabar House, Kochi, Kerala. Tel: [91-484] 221-6666, fax: 221-7777, (www.malabarhouse.com). Marari Beach, Mararikulam, Kerala. CGH Earth Group, Cochin, tel: [91-484] 301-1711, fax: 266-8001, (www.cghearth.com). Moksha Himalaya Spa Resort. Himachal Pradesh. Tel: [91-1792] 232-340 / 232-341, (http://www.mokshaspa.com/). 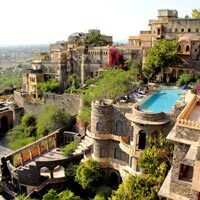 Neemrana Fort Palace. Tel: [91-1494] 246-007/8, (www.neemranahotels.com). Niraamaya Surya Samudra Retreats, Kovalam, Kerala. Tel: [91-80] 4510-4510 / 4510-4505 / 4510-4511, (http://niraamaya.in). Om Beach Resort. Tel:  948-088=5307, (http://www.junglelodges.com/om-beach-resort/). Park Hyatt Goa Resort and Spa, Arrossim Beach, Goa. Tel [91-832] 272-1234, (https://goa.park.hyatt.com/en/hotel/home.html). Ranjit’s SVAASA Heritage Boutique Spa Haveli, Amritsar, Punjab. Tel: [91-183] 256-6618, (www.svaasa.com). Shangri-La's – Eros Hotel, New Delhi. Tel: [91-11] 4119-1919, fax: 4119-1988, (www.shangri-la.com/newdelhi). Shreyas. Tel: [91-80] 2773-7102 / 3, (e-mail: balaji@shreyasretreat.com or www.shreyasretreat.com/). Somatheeram Ayurvedic Health Resort, Trivandrum, Kerala. Tel: [91-471] 226-6501, fax: 226-6505, (www.somatheeram.org). Soukya Holistic Health and Ayurveda Treatment Centre, Bengaluru. Tel: [91-80] 2801-7000, fax: 2801-7009, (www.soukya.com). Spa.ce, Bengaluru. Tel: [91-80] 4132-7526, (www.spacethespa.com). Spice Village, Periyar, Kerala. CGH Earth, Cochin. Tel: [91-484] 301-1711, (www.cghearth.com). Soul and Surf, Varkala, Kerala. Tel:  996-171-1099 (www.soulandsurf.com). Swaswara, Gokarna. Tel:  951-332-0360/61/62 (http://www.swaswara.com/). The Claridges, Delhi. Tel: [91-12] 9419-0000, fax: 9419-0001, (claridges.com). The Hilton Shillim Estate Retreat and Spa, Pune. Tel: [91-2114] 712-468, fax: 712-448 (http://www3.hilton.com/en/hotels/india/hilton-shillim-estate-retreat-and-spa-PNQSHHI/index.html). The Imperial. Tel: [91-11] 2334-1234, / 4150-1234, fax: 2334-2255, (www.theimperialindia.com). The Khyber Himalayan Resort and Spa, Gulmarg. Tel:  959-678-0653 (http://www.khyberhotels.com/). The LaLiT Golf & Spa Resort Goa. Tel: [91-832] 266-7777, fax: 266-7711, (http://www.thelalit.com/the-lalit-goa/). The Leela Goa. Tel: [91-832] 662-1234, (www.theleela.com). The Leela Kovalam Beach Resort, Kerala. Tel: [91-471] 305-1234, (ww.theleela.com). The Leela Mumbai. Tel: [91-22] 6691-1234, (www.theleela.com). The Leela Palace Udaipur. Tel: [91-294] 670-1234, (www.theleela.com). The Lodhi. Tel: [91-11] 4363-3333, (www.thelodhi.com). The Park in Chennai. Tel: [91-44] 4267-6000, fax: 4214-4100, (www.theparkhotels.com). The Park New Delhi. Tel: [91-11] 2374-3000, fax: 2374-4000, (www.theparkhotels.com). The Roseate Hotel, New Delhi. Tel: [91-11] 7155-8838 (http://www.roseatehotels.com/newdelhi/theroseate/). The St Regis, Mumbai. Tel: [91-22] 6162-8000 (http://www.stregismumbai.com/). The Westin Sohna Resort & Spa, Haryana. Tel: [91-124] 711-2233, fax: 711-2234 , (http://www.westinsohnaresort.com/heavenly-spa). The Windflower Spa and Resorts (Mysuru and Coorg). Tel: [91-80] 4114-2408, (www.thewindflower.com). The Zuri Kumarakom, Kerala Resort & Spa, Kottayam, Kerala. 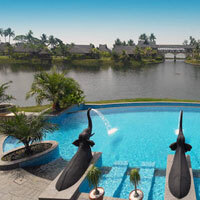 Tel: [91-481] 252-7272, fax: 252-7282, (http://www.thezurihotels.com/lake-resorts-in-kumarakom/).